Today's run was my first time back on the road at 4:00 AM since mid November. It's gotten a lot colder since then but I dressed warmly enough to stay comfortable. 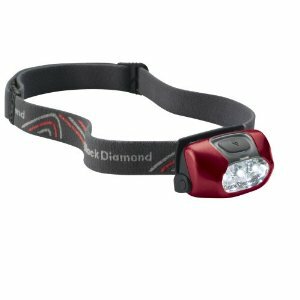 I wore my new Black Diamond headlamp that I bought to replace my Petzl Tikka Plus. The Petzl unit had been giving me trouble with the lamp refusing to light unless I opened up the assembly and reset the position of the batteries. I thought the Black Diamond's design would prevent that in the new unit. Unfortunately, I had the same issue with the new headlamp when I got it ready for the morning. I opened it up, pushed the cells into place, and it lit up fine. I questioned whether I am any better off with this new unit but I think the Petzl was generally wearing out. I got outside and felt the chill but my hat, gloves and layers were sufficient, even when I ran in the direction of a fairly stiff wind. I started off feeling like I was working hard. The first road I follow is a small incline so I expected a little challenge but this seemed a bit more. Once past that street I settled into my pace and moved along fine. The headlamp threw off a lot of light but I hadn't adjusted the beam to focus on the road ahead. I've learned my lesson about hazards in the dark and, happily, I had no missteps. I ended up clocking my normal time for the route I ran, helped along by some faster strides as I got closer to the end. It was good to be back on the road again. It's not that I don't appreciate the treadmill, but it's a fuller experience when you're dealing with all the elements.